These days, a modern smartwatch is a tiny miniaturised computer that keeps us entertained, in touch with contacts and connected with the outside world as well as telling us the time. 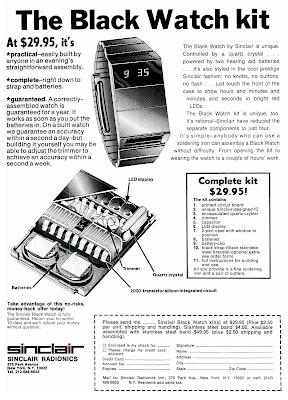 But, forty years ago manufacturers were struggling even to create a basic digital watch that didn’t cost a fortune. 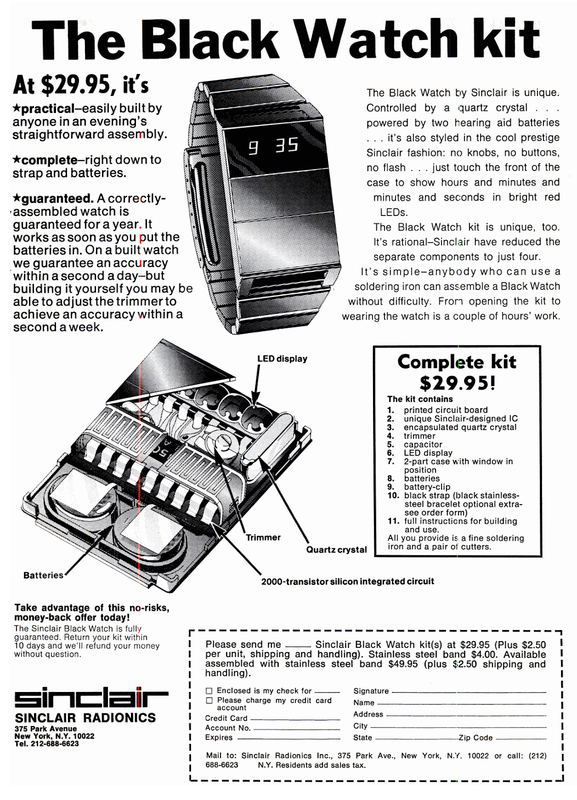 Forty years ago this month we saw the launch of the Sinclair Black Watch, a low-cost digital watch costing around £25 for an assembled version and £18 for a kit (around £157 / €213 and £133 / €153 at today’s prices). Digital watches were a big thing at the time (they even featured as a running joke in the Hitchhiker’s Guide to the Galaxy), so interest in the Black Watch was high. 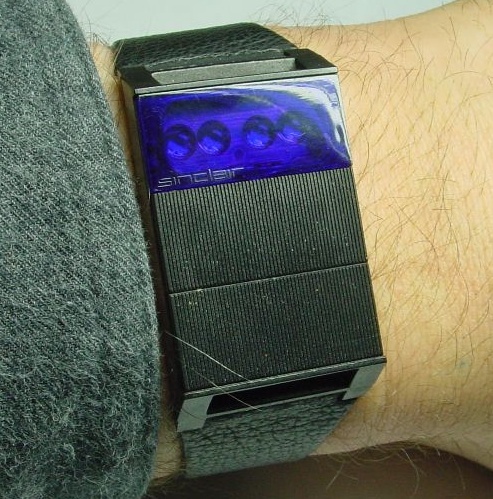 The Black Watch (the name was a pun on a famous Scottish regiment) was fundamentally different from a modern digital watch in that it used an LED display rather than the typical LCD display we would see today. LEDs draw a lot more power than an LCD, so it wasn’t possible to keep the display on all the time, instead the user had to press a button underneath the display to make the digits light up. That might be seen as a minor inconvenience, but there was worse. The battery life was meant to be a year, but in practice it was only a few weeks at best or sometimes even days, and the battery was extremely difficult to replace. The watch was also sensitive to temperature (it ran a different speeds in different seasons) and was sensitive to static electricity. It also had a tendency to fall apart. Essentially, the Black Watch was not fit to be sold, and the return rate was enormous, to the extent that it nearly bankrupted the company. In the end, Sinclair Radionics was rescued by the government and was eventually split up, although the Sinclair name lived on with Sinclair Research that pioneered low cost home computers in the 1980s. Black Watches these days are very rare, and you can expect to pay several hundred pounds for one in good condition. In fact, this old Sinclair is about as expensive to buy as the modern all-singing-all-dancing Apple Watch. Or alternatively you can get a modern Casio digital watch for about £20 or so which will actually tell you the time in a reliable fashion.